Looking to deliver squash to young people in a school or community setting? Are you a teacher looking to offer new activities to young people? 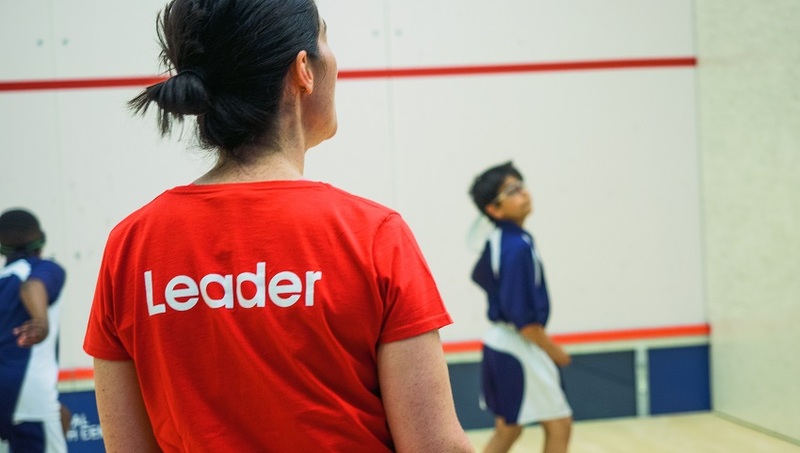 The Schools Squash Leaders Award could be for you. This three-hour workshop is aimed at teachers, or level 2 coaches (in any sport) who want to deliver school to children and young people aged 5 and upwards. The course includes our flagship junior programme, Junior 101.
tips for keeping young people playing the game. Must have a desire to deliver a junior squash programme with a school or community setting. The workshop costs £25 per person. Within this cost you'll also receive Junior 101 resources.